It’s that exciting time of year again when the catalogues start to arrive and retailers get to see all the new goodies contained within. 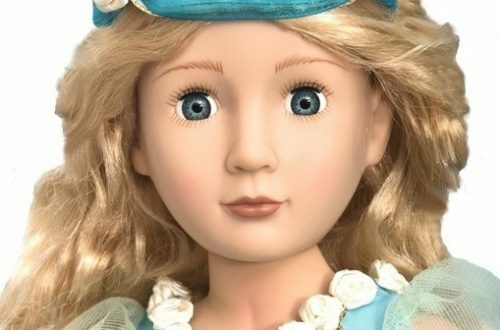 I have to admit to it being slightly different for Petalina this year (yes I’m missing dollies at the moment), but I’m still excited and delighted to be working with Trisha from KR Bears and Dolls who has provided photos of the beautiful new standing dolls from the 2019 Gotz collection. The big news is that there is a new face in the Happy Kidz collection called Emilia. She has the same 50cm multi jointed vinyl body with brown rooted hair and stone/grey eyes. She reminds Trisha of the Gotz Steiff Samira and Chantal face by Elisabeth Lindner from the 2003 collection and they certainly look very similar. If you would like to purchase a doll then please get in touch with Trisha to be added to her list, which apparently after just two days is enormous! 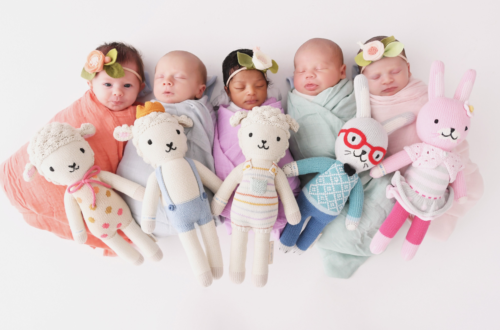 The dolls are due to arrive in early February. I’m sure there will be plenty of dolls available throughout the year but no doubt the first delivery received by Gotz will be sold very quickly indeed. You can contact Trisha here. I’m always interested to see which dolls have been carried over and which are discontinued. 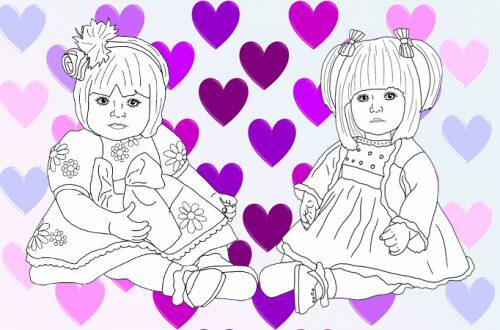 In the Gotz dolls 2019 Happy Kidz range only Laura has been retired so if you have been planning a purchase then don’t delay because most shops seem to have sold out already. In the Hannah range, again, not very much has changed. New this year is Hannah All Year Round who arrives wearing a warm winter coat but the box also contains a really pretty set of accessories for warmer and wet weather. The tradition of Hannah and her Dog receiving a new outfit every year continues and here she is looking as beautiful as ever. Only Hannah Happy Birthday has been retired from the Hannah doll collection this year. Precious Day Girls remain as popular as ever, being the perfect dolls for girls from age 4. I still think it’s amazing that the dolls can be washed in the machine if needed! This year sees the introduction of a new Elisabeth and Jessica. An older Elisabeth has been retired so this brown haired beauty is the only brunette available in the Precious Day Dolls range this year. Jessica Soccer has been retired but there are still 5 blondes to choose from in the Gotz Dolls 2019 collection. Thank you to Trisha for providing photos for us. Please do contact her with any questions you have about stock availability and to reserve dolls, which you can do by clicking here to go to her website’s contact page. Happy New Year Cate!! Hope all is well! Thank you for the post and photos. Has there been a Hannah with the grey eyes in blond yet? It looks as if the All Year Long Hannah has grey. It is getting a little boring. Someone else mentioned why don’t they have green or hazel. Any inside information on that? Have a wonderful day!! Hello Jutta, all is good here thanks, hope all is well with you too. It does look as if the Hannah All Year Round has the grey eyes which is lovely, but I agree it would be much more interesting to have a bit more variety. I wonder if once upon a time any Hannah dolls ever had green eyes – I know that Precious Day Julia used to have green. It could be very difficult and therefore expensive to make, but to be honest, I really don’t know. I don’t have any inside information at all. I would suggest sending emails to Gotz via their website with requests and if enough people were to do that, they might listen. Hi Cate, Good to see you still involved with dolls and on FB. I see you mention Laura won’t be carried forward. How about Charlotte? Would love another Skille face. Hello Kathleen, thank you for getting in touch. 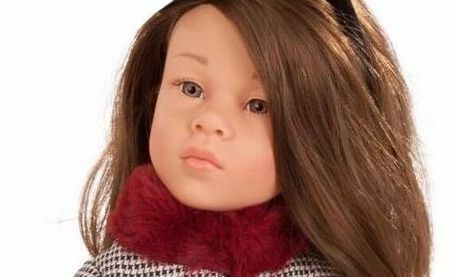 Charlotte was discontinued at the end of 2017 as she wasn’t in the 2018 catalogue. No Skille faces this year with Laura gone which is a shame.